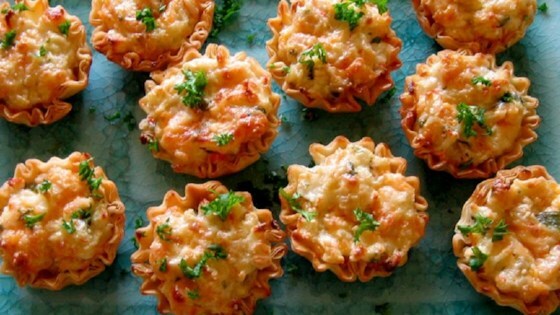 "These crab tartlets have long since been a family favorite and are requested often at holiday get togethers." I used the small phillo cups you can buy at the store in the frozen food section instead. They were really good and could be served bite size. The recipe made enough for 30 little cups.